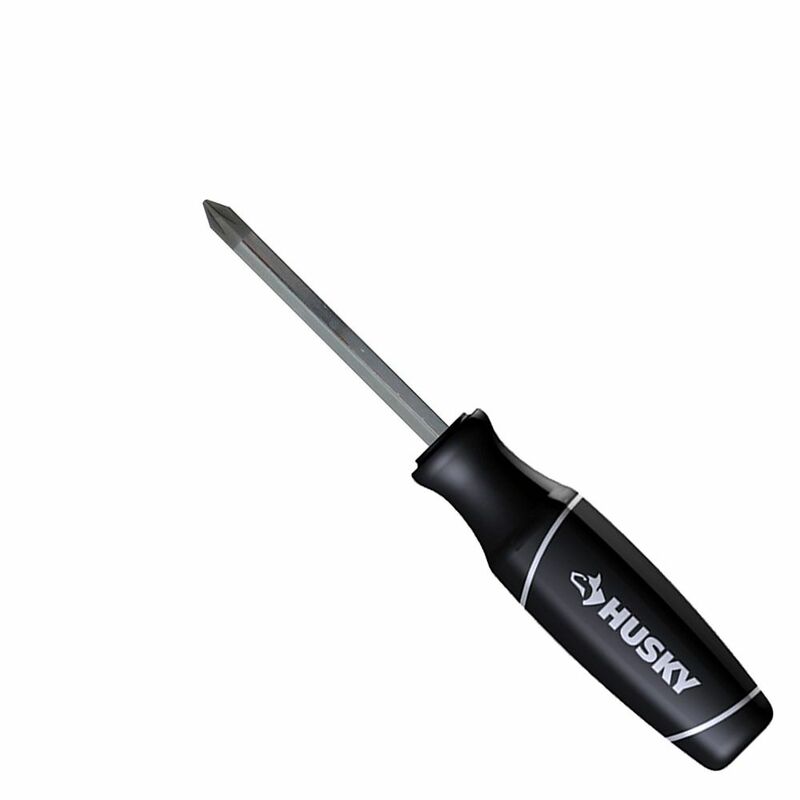 The Husky #1 x 3-inch Phillips Screwdriver features a designed pentagonal type handle to provide greater handle torque and more comfort. Unique dual material handle remove grip slippage during high torque applications. The tip size marking is injected on the end of handle for easy identification and longevity. The alloy-steel blade is heat treated for strength, precision formed tip for accurate fit and limits cam-out. Industrial quality and strenght.Preferred by professionals, Fuller PRO 300 screwdrivers are the perefect combination of rugged durability and comfort-guaranteed. Available Individually carded and in a variety of assortments and sets.The smallest sizes are good for elctronic devices. The Husky 1/8-inch x 3-inch Slotted Screwdriver features an alloy-steel blade that is heat treated for strength and nickel plated for corrosion resistance. Features a serrated tip that provides engagement with fasteners and limits cam-out and stripped screwheads. Tough, durable acetate handle withstands exposure to solvents and chemicals commonly found on worksites and in automotive shops. 1 x 3-inch Phillips Screwdriver The Husky #1 x 3-inch Phillips Screwdriver features a designed pentagonal type handle to provide greater handle torque and more comfort. Unique dual material handle remove grip slippage during high torque applications. The tip size marking is injected on the end of handle for easy identification and longevity. The alloy-steel blade is heat treated for strength, precision formed tip for accurate fit and limits cam-out.